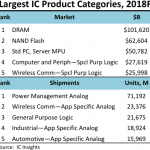 Faced with a second year of stagnant growth, competition in the consumer and mobile micro-electromechanical (MEMS) sensor market will continue to be tough for suppliers. 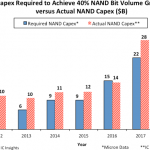 After declining by 3.4 percent in 2015, a slow growth trend in the consumer and mobile MEMS sensor market is not expected to start until 2017, according to IHS Markit. 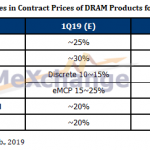 This means buyers can expect MEMS suppliers to focus more on performance improvements and portfolio expansions into new sensor types and end markets. Acquisitions also will be on the table, which could impact the supply chain, as well as new business models such as software services to boost revenues. Buyers also should expect lower average selling prices (ASPs), which have dropped significantly over the past three years. Despite the slowdown for motion sensors and other traditional MEMS markets, there are new opportunities for growth in the consumer segment, according to Boustany. 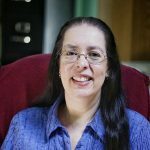 These opportunities include the use of motion sensors and microphones in virtual-reality headsets, motion sensors in drones, flow sensors in e-cigarettes, as well as the use of gas, humidity and temperature sensors in home environmental monitoring. 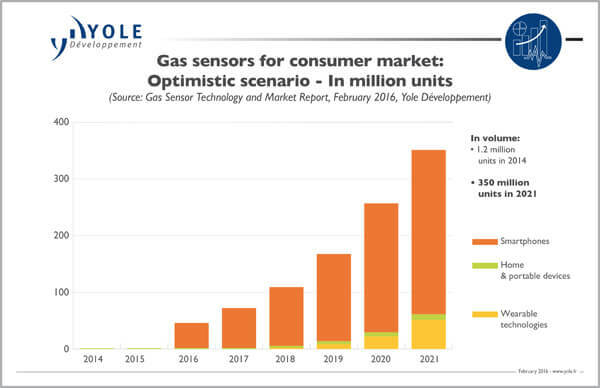 Yole Développement (Yole), for example, recently forecast the gas sensor market to reach $920 million in 2021, growing at a 7.3 percent compound growth rate (CAGR) over the 2014 to 2021 period, if there is widespread adoption in consumer products. 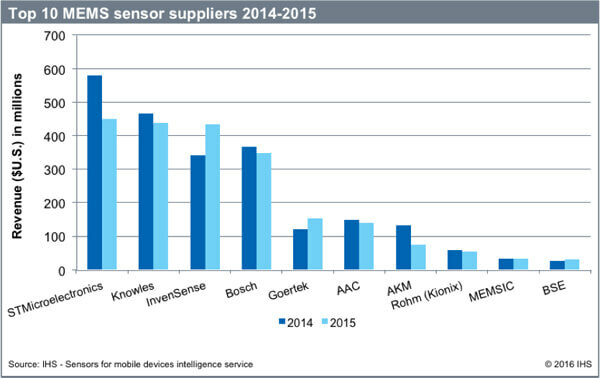 Consumer MEMS sensor suppliers face several challenges, which include downward price pressure. Despite greater adoption in mobile phones, MEMS microphones, inertial, pressure and gas sensors have very low margins, said Yole analysts. 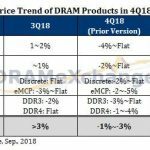 The ASPs for consumer MEMS devices has dropped below $1 since 2013, according to Yole’s Status of the MEMS Industry 2016 report . Another challenge cited in the report is a lack of emerging high-volume markets in the short term. Although promising growth markets, the Internet of Things (IoT) and wearable electronics are still at low volume demand. 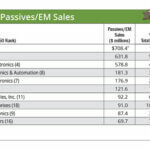 Despite the slowing MEMS market, leading MEMS sensor suppliers have been expanding their product offerings and business models, including the top three consumer and mobile MEMS sensor suppliers - STMicroelectronics, Knowles and InvenSense, according to the IHS Markit’s MEMS & Sensors for Consumer & Mobile Intelligence Service. Each boasted about a 17 percent market share (based on revenue) in 2015 led by STMicro at 17.85 percent, and followed by Knowles at 17.32 percent and InvenSense at 17.26 percent. Rounding out the top ten are Bosch, Goertek, AAC, AKM, Rohm (Kionix), Memsic, and BSE. 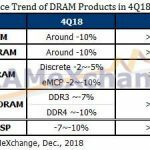 “The performance of 6-axis MEMS sensor modules, which have become a key building block of today’s consumer and IoT devices, has enabled new features in smartphones and more broadly new user experiences,“ said Andrea Onetti, group VP and general manager, MEMS Sensors Division, STMicroelectronics, in a statement.